As one of the five senses, vision is an important part of your child’s growth. If your child is in school and unable to comprehend information that is presented visually, they may be at risk of having their academic performance negatively affected. Be sure that your child gets routine eye exams to detect any signs of nearsightedness, farsightedness, and/or astigmatism so that any treatment may be addressed early on with eyeglasses or contact lenses. Learning-related vision problems account for 20% of all learning disabilities, so be sure to have their eyes checked yearly. Routine exams make sure that your child has healthy eyes, important for their vision development. An optometric exam performed at 6 months to ensure that the eyes are working together during these early years, as well as rule out any ocular disease. At the age of three as a follow-up exam to track developmental progress. And again when they begin school to ensure detection of vision problems that may interfere with their learning process. 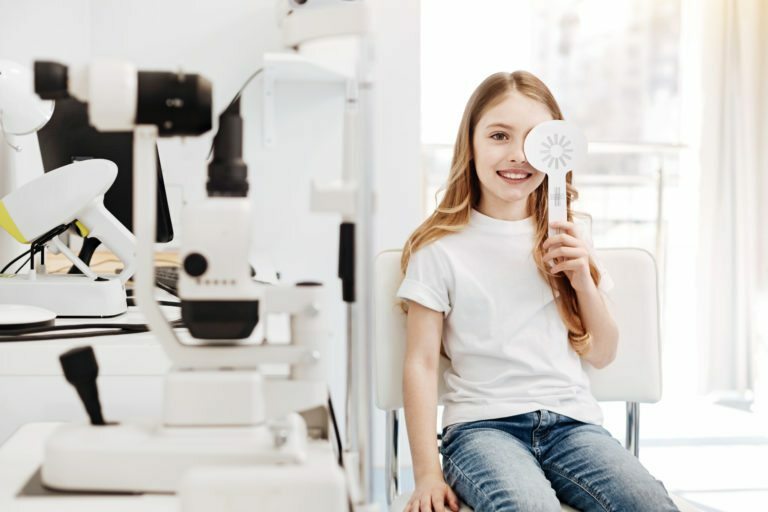 Ensure the health of your child’s eyes and feel free to contact our office to schedule an eye exam with our Optometrist at Shelburne Optometry today. We will gladly answer any of your questions and provide you with the best treatment options available to you and your child. We proudly participate in the Eye See Eye Learn program! If you have a child in Kindergarten, they may be eligible for a free OGI frame and Nikon lens. Please call for further details.